This plate was redone so that the two mamos could be shown among the other Hawaiian honeycreepers. I was getting away from the idea that all the black birds had to be shown together. 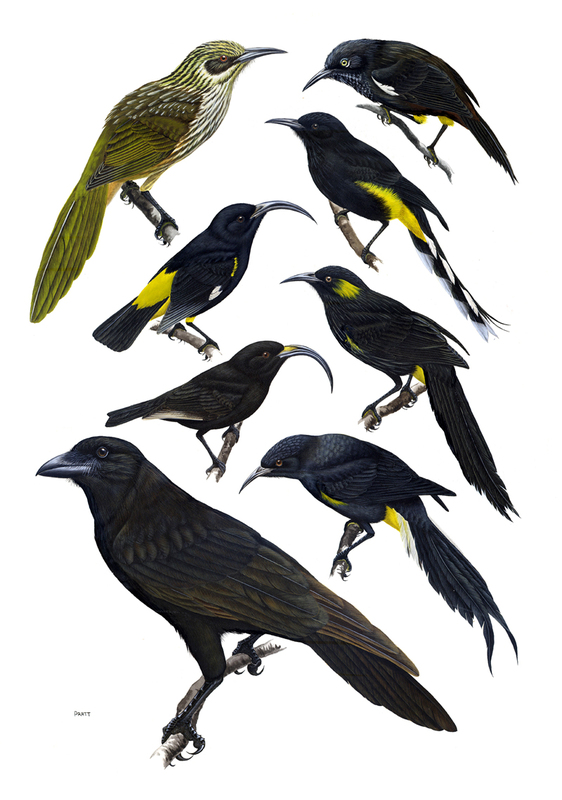 Sadly, all of the birds shown are now extinct or, in the case of the Hawaiian Crow, extinct in the wild.